When introduced, the Ariel 2-strokes were, by the standards of the time, quite a modern and different concept—and in many ways still are. The Ariel Leader was the first to appear, introduced at the 1958 Motor Cycle Show and was a sensation. The stripped down version, the ‘Arrow’, arrived late '59, and the Super Sports Arrow appeared a year later at the beginning of January '61. All were 247cc twin cylinder 2-strokes, the Leader and Arrow being fitted with a 7/8” Amal 375 Monobloc carb, whilst the Super Sports had the larger 1-1/16” Amal 376 which gave it the edge in performance and with its very glamorous teenage grabbing finish. It was an immediate hit and sold well. 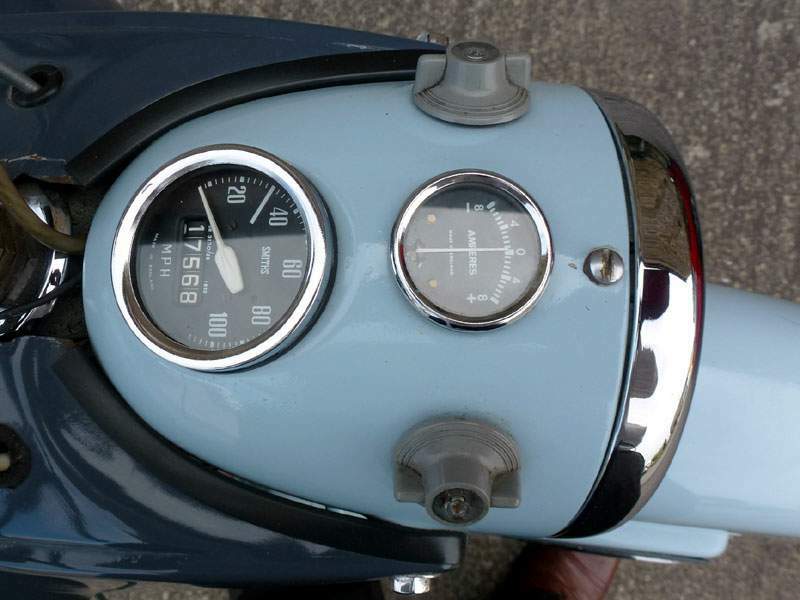 For the time, performance of the Super Sports Arrow was excellent with rapid acceleration and an indicated top speed of 80mph flat on the tank (rider prone) but it took about a mile to get the right numbers on the clock. However, slightly downhill and with a following wind it would often see an indicated 84mph. The standard Arrow was a few mph slower. Fuel consumption seemed to vary little from 70mpg irrespective of how it was ridden. This was in contrast to the Japanese 250cc 2-stroke twins that were arriving. Their consumption was much greater, but so was their performance. The Leader and Arrow were all based around the same rigid box section frame and the clever trailing link front suspension, the design of which gave an almost constant wheelbase whatever the suspension movement. With the fuel tank enclosed within the frame (early examples 2.3 gals, later 3 gals) and the engine suspended on lugs beneath, a very low centre of gravity was achieved, the combination of which resulted in excellent handling. Because of this, Arrow riders loved the twisty bits, and often surprised riders of much larger motorcycles. These big bike boys would more often than not take the Mickey out of any 2-stroke rider—and especially the Arrows—because they were so different and "a bit scooter-like". Probably the worst feature of the design was the poor front brake, and for anything like decent retardation both brakes had to be used hard and in unison. The rear was OK, if not brilliant, but as both are exactly the same 6” units, it must largely be down to a lack of leverage to the front.